The Munich Cluster is a key point for the construction of the Multifactory Network. 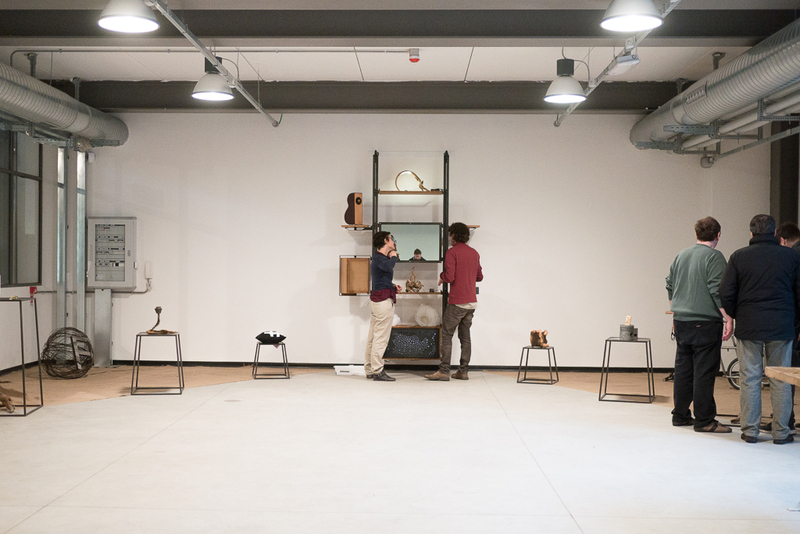 The Multifactory Network is the attempt to construct a system of shared workspaces experiencing non-capitalistic ways to produce goods, based on sharing and exchanging tools, projects and ideas. personal visits to other’s spaces through the Free Exchange Program. The work made in August-September was aimed to give the basic skills and patterns to prepare the tutorials/self-presentations and setting up a team to develop the e-window. The Munich cluster is composed by shared workspaces which are very different one from each other and it is a good chance to experiment and to understand which are the problems related to this project. The work with the Munich cluster was really interesting and very productive because we found out a lot of critical points of the structure and we also could improve together the way to make videutotorials. During the training course we focused on how to invent and how to create a structure for telling a story, which is the core of the presentation. Then we realized that we would need to create a visual form, to let people self express and build their own video, as it is too difficult both to imagine the story and to think how to transform it into images. So we started working to simplify the structure and while doing the tutorials with hei-Muenchen we experimented a way to make a tutorial faster and more focused, and we tested it. While working with Felix, member of FABLAB-Muenchen, we focused on how to choose which are the skills and self characteristics to put into a self-presentation. For the walkaround, (to present the space) with the hei team we decided to present each workshop with titles, to make clear what people can do in general and to let the viewer can easily understand which is the specialty of the space. The goal is to reach a point when people can make these videos alone following a defined pattern. The work with the Munich cluster on tutorials provides a lot of material to make a tutorial about how to make a videotutorialpresentation. The e-window project is a huge work, and it’s story is helpful to understand some of the problems that we experienced. The e-window concept was first developed in Milan within the umbrella of the Tellus Project, a project aimed to link creative spaces all around Europe with e-windows (at that time based on commercial products). The project was presented to Cariplo Foundation in March 2011, and granted. With Tellus project, we first understood how people interact in public spaces connected via e-windows. In 2012 we focused on user experience and in 2013 on how to create events. In January 2013 we defined the concept of “Elikon”, which is a specific format for events based on e-window that we first applied on September, 21st between Made in Mage (IT) and Building Bloqs (UK). 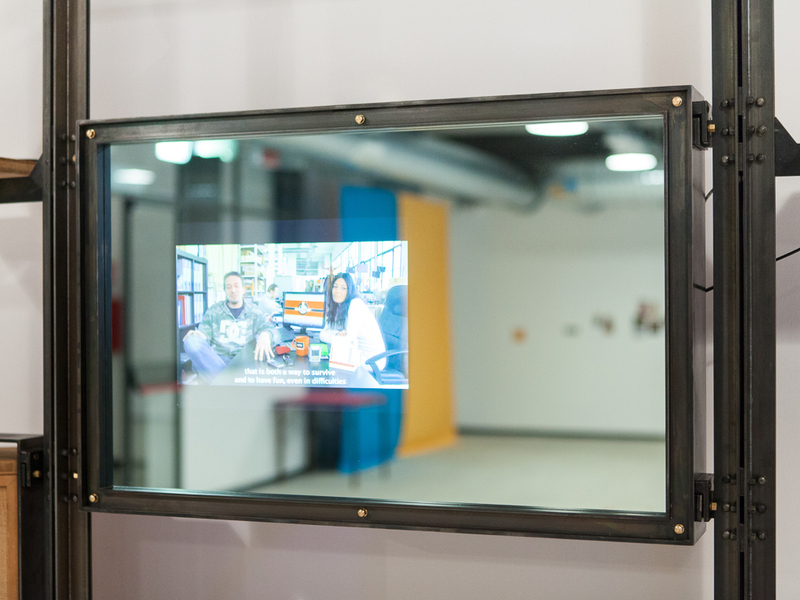 In 2014 and 2015 we researched how people interact in one-to-one communication through the e-window. 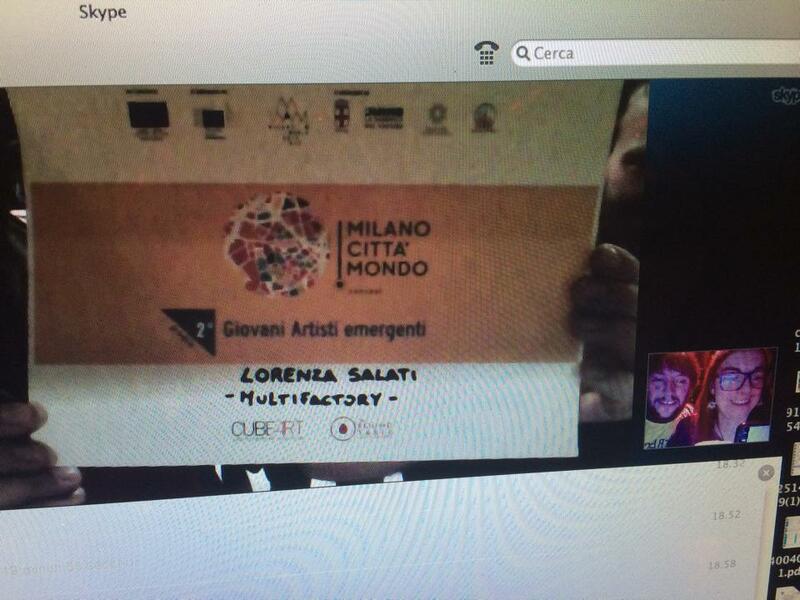 We participated at “Milano città Mondo” art contest and we won a prize, we presented the e-window to the Stiftung Edith Maryon and at VOW Festival. In these years, we understood that the e-window should appear as a window, we moved to the 24/h concept and we developed the user experience and the logical tree behind it. With FabLab Potsdam we decided to base the e-window on Raspberry PI platform and we started developing the connection software. So, most of the knowledge about the e-window as a tool was made in previous years and as many concepts were fixed, the workshop for the e-window was meant to build a group of developers, starting from the results and evidences available at that point, collected in previous five years of development. The group was formed and worked together but there were different approaches into the group and this led to two different technical solutions. This can be good as it makes possible to make a confrontation to different approaches but on the other side this is a waste of energy. To build a free software video communication system is very difficult, the Voice Over IP is a fascinating but complex technology, we didn’t know before testing available existing free software Videochat solutions (based on WEBRCT protocol) that none of them is working properly. Maybe it’s really important to focus all the efforts of many people on the same target. Also if it’s difficult to create such a working community, we strongly believe that a free software communication platform is really needed to protect freedom of speech and e-democracy. Commercial software which you can use for free is not a gift. It’s a Trojan horse. Systems based on proprietary codes live users unprotected and their centralized architectures expose people and their data. So, for us is mandatory to have a free and open system and we understood that it can only be developed by a huge and diversified group of developers. The goal is not just to have a videochat system for makerspaces and FabLabs, but to increase the security and to protect the freedom of all of us. On a general level, working with a cluster was very productive but quite difficult. As we could imagine since the beginning, people would prefer to have a clear organization and to know in advance single tasks, but due to the specific characteristics of this project this is almost impossible. The final goal is to experiment a different kind of society but we don’t know in advance what this will mean in practice. We are just providing an intellectual platform to experiment different kind of relationships but we don’t know exactly which shape they will take. We thought it would have been easier to converge on common points but we understood that values and goals of people involved on such different spaces are very different one from each other. We understood that also when people believe in the same general values (sharing, exchanging, community, mutual learning) then differences are still very strong. Its needed to work on a common language because these differences can become very important resources within the network, if people know which are the specialties of each space, and where to go when they have a special need. Right now they are like parallel worlds, which really don’t interact, but if people start exchanging within the cluster and building trust while doing things together, the potential is enormous. What is needed now is to work on these themes and think in which way to start the Free Exchange Program so people can move and visit also other spaces outside Munich. 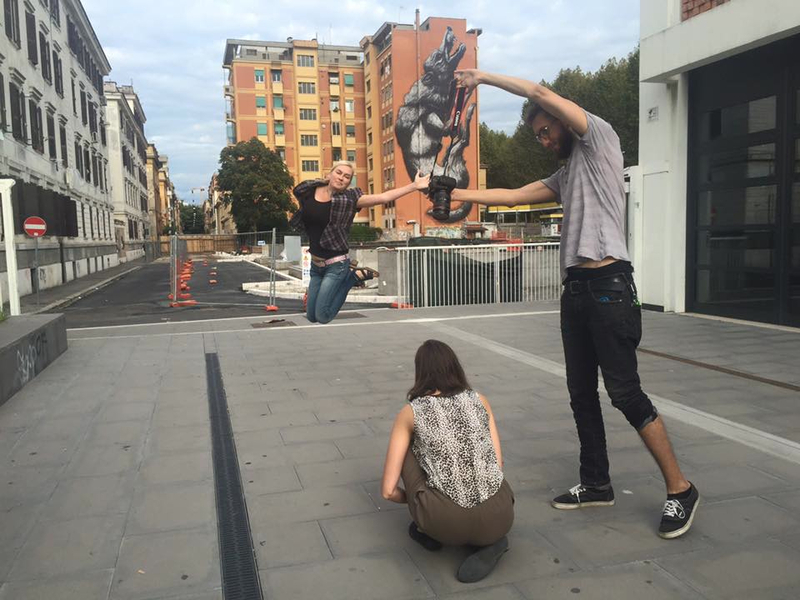 We found this interesting event dedicated to the contemporary practices of the moving image, Rencontres Internationales offers a space to discover and reflect upon new cinema and contemporary art. And below our post the required material to enter the call. The documentary starts with a car riding under the snow, looking for what remains of the illusions of the 70’s. Monumental urban installations, now in decline and almost hidden by vegetation and rust, are to witness a society that strongly believed in social promotion implemented through work. Where is the jointly liable community of citizens and workers that had been promised by politics and corporations? How do we combat the sense of disorientation that pervades people who are new to the labor market and can’t find a job or mid-aged people who lost their job and can’t find a new one? How can the citizen “perform an activity that contributes to the material and spiritual progress of society,” as the Italian constitution states? Thus began the journey, real and metaphorical, through five countries in search of MultiFactories, places that reinvent the idea of work. MultiFactories are a European phenomenon made by people who seem to be the pioneers of an emerging social class; incorporating new values and characteristics of artisans, entrepreneurs, and freelancers. You only need to enter each building in which they are developing and listen to the individual experiences of these guys, to see what’s new. We received many similar responses out of a single, coherent framework. A single speech of many voices, a large choral work that explains how these social systems are structured and can exist. These forms of work organization, independent and free, are a practical and functional interpretation of the basic principles of Collaborative Economy, on which the European Union is investing so much. Lorenza Salati uses instruments and methods by visual anthropology as a support to the self-perception of singles as change makers. She was hired as documentary filmmaker by NGO’s and public institutions to explore agricultural and ethnical issues in Africa (Burkina Faso, Mozambique, Senegal). In the meanwhile with these institutional experiences, facing up to new communication needs emerged from the opportunities offered by Web 3.0 she investigate new forms of expression and innovative methods of storytelling, both in a technological than in a content level. The main line of research is the definition and transmission of methods and tools that can be used by individuals and organizations to build a strategy of self-representation and self narrative for a web marketing goals. The goal is to share and spread the skills and techniques for an effective communication with a bottom up approach, using the social networks in a social way, spreading videos, pictures and contents creating and involving a community parallel to the communities they represents into the real life. Since 2012 she is following and studying the sharing economy phenomenon. His research is aimed to find practical solutions to the current labour market. 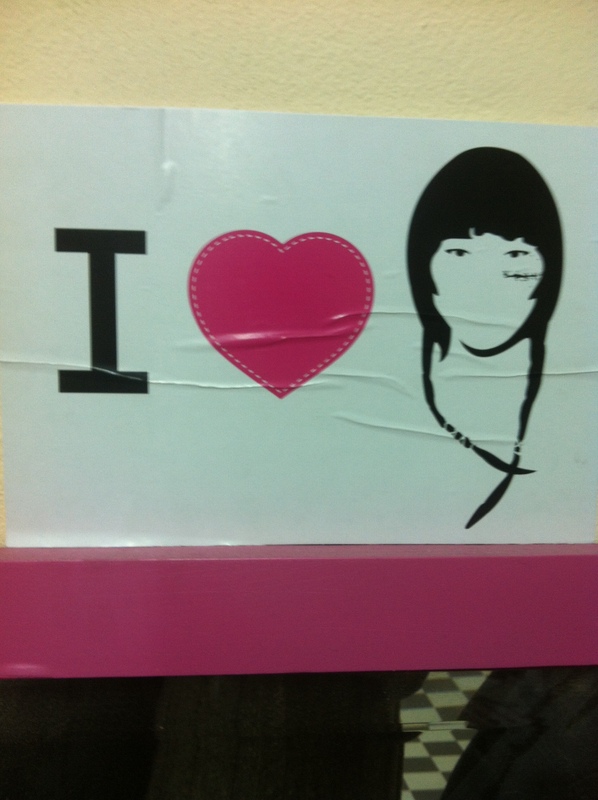 We love dreams, but only when became truth. We love to foresee the future, to discover what is unbelievable today, but will be “normal” in ten years. We don’t like utopian places, where highly focused people pursue a specific goal apart from society. We believe that social innovation has to be something that can be applied to everybody and that can change the society by interacting with the existing schemes. That’s why we love diversity, to travel, to meet people, to catch new trends at their appearing, and then to find a way to spread them, and to make them replicable and suitable for as much people as possible. We love to be completely free to change our ideas and our point of view, that’s why we self-finance our projects. 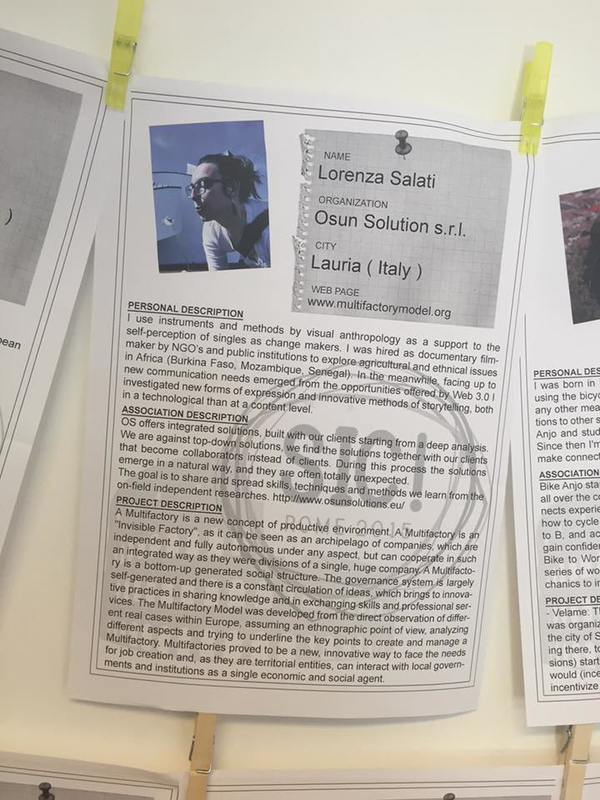 Our brains are very different: Giulio starts from a systemic approach and focuses on the overall dynamics within social systems, while Lorenza is much more interested in the role of single persons and uses instruments and methods by visual anthropology as a support to the self-perception of singles as change makers. We both assume an ethnographic point of view and we think that to understand phenomena you have to deeply be part of them. 2014 – “Bosco in corso”, a short documentary about the unscheduled stop for the EXPO trees in Expo Gate. An installation into the city centre of Milan as a way to familiarize people with the EXPO MILANO 2015 event ahead and with the theme of landscapes. 2014 – “Multifactory. The Invisible Factory.”, Documentary on the shared work places shot in several places within Europe between 2012 and 2013. HD, 60 min. 2013 – “A la recherche de l’animisme” documentary about the festival “La Lune du Sahel”, a completely free entrance international music and teather festival organized by Watinoma in Koubri village, Burkina Faso. 2012 – “MOZAMBICO FARMERS CLUB”, Documentary on farmers in Mozambico HD, 25 min. 2012 – “Che cosa vorresti seminare nel luogo in cui vivi?” Documentary on people who live in the Granara eco community, HD. 2012 – “KlezTiket”, videoclip, MINI DV. 2012 – “il Sogno di Muna” Documentary shot in Burkina Faso, MINI DV, 22 min. 2011 – “Dar voce allo sguardo” Documentary on joung people from Bollate (I), MINI DV, 12 min. 2010 – Short movie “AFRICAN ENCOUNTERS”, about a group of musicians and dancers blues and soul that lives between Milan and Ouagadougou, capital of Burkina Faso. 2009 “Ai Laìk Karamèl” Documentary on joung refugees, winner of the prize “Miglior Documento al concorso Lavori in Corto”, minidv, 15 min. 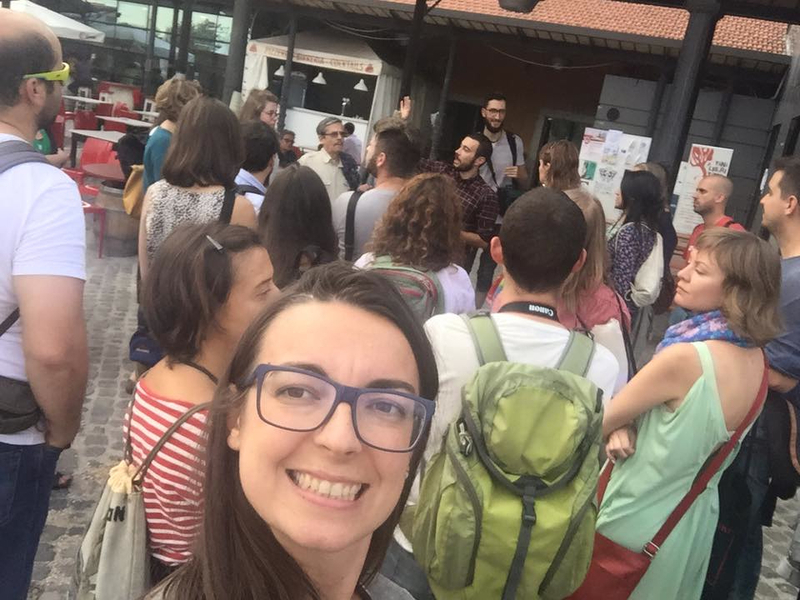 From the 24th to the 27th of September 2015 we attended to the SIC conference in Rome. 3 full days of exchanges between Social Innovators from all over Europe. The participants have been selected on the basis of the innovativeness of their project, as well as its social impact, contribution to the conference and geographical distribution. The number of participants was limited to 50. This limit has been set in order to keep the conference size compatible with the community feeling we wish to create and to facilitate formal and informal flows of experiences and knowledge. “Across the world, there are great social innovations and urban culture activism emerging. However, actors and stakeholders of this movement are often not aware of each other because of the lack of a real network connecting them. A lot of creative people need to start from scratch. SIC! aims to address this issue. SIC! is a grassroots conference based on a bottom-up approach that aims to boost discussion about local experiences of social innovation. It is an open space for social innovators who want to get in touch with each other, confront problems and solutions, and learn from different experiences and contexts.” READ more about SIC in their website. 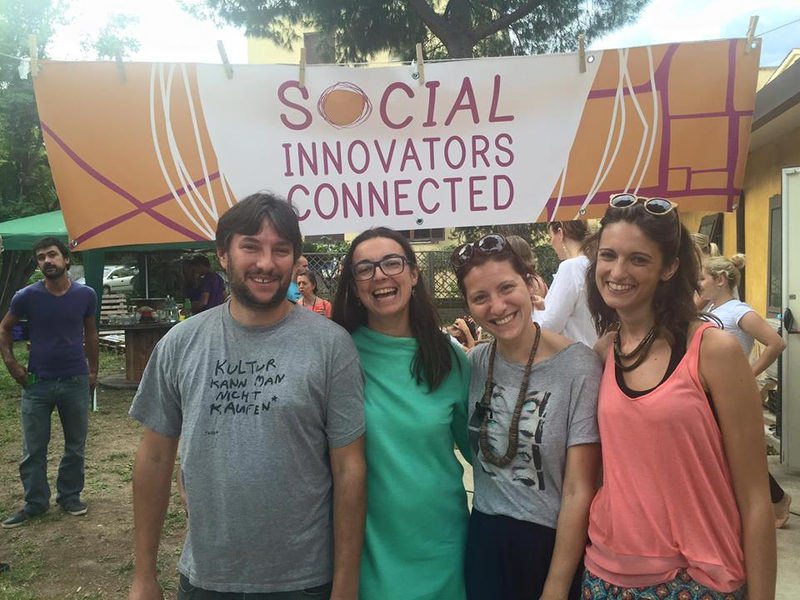 For us, this experience has been very usefull in order to be connected with other social innovators. 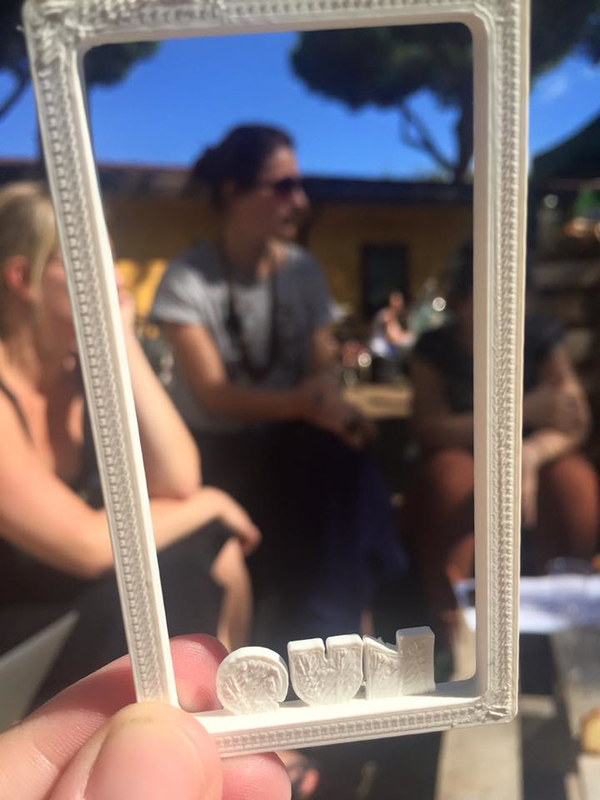 We finally had the opprotunity to meet someone from OUI SHARE and to understand better what they are doing and how. Then it has been very interesting to have the possibility to see what is happening in Rome, our capital city. 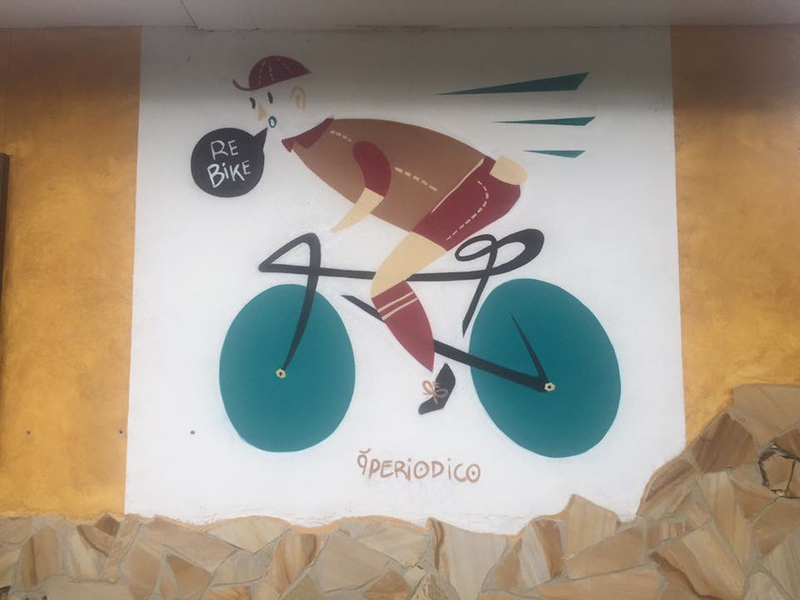 The conference has been hosted by ReBike ALTERmobility a no-profit association that has different project all aimed to sensibilize citizens on sustainable mobility in city environments. They showed us the opportunity to take part to the European Erasmus PLUS program that is hepling them in running an educational program to teach english through a road safety educational program. Two weeks after the conference we went to visit the Connettiqun architets group based in Cremona, we appreciated a lot their way of involving communities through new urban spaces concepts they developed in the last years, so let’s see what will happen then! The Erasmus for young Entrepreneurs program, sadly, reached to an end. We can state that it has been the first financial support to our independent research and to the development of the multifactory Network. It has been a small amount of money (830 euros a month for 4 months) that could cover the travel costs to freiland-Potsdam, in Germany. But the real gain has been, of course, another one: to have 4 months to fully keep on working on this project, with the support from the association that is running the Freiland Cultural Center/shared workspace. I publish here the final report of this project hoping that this program can be used in the same way I did and can help other Young Entrepreneurs to get more skills in a practical way and with the same freedomness. NewEntrepreneur: The main target for the NE is to learn (theoretically and practically) how to support the freelancers, artisans, small enterprises and artists who are part of a Multifactory to run their activity. The focus is to find a way to strengthen their commercial side into an environment that is basically collaborative and based on trust, sharing and community. The objective is to find new ways, tools and languages of communication that are proper to the sharing economy. We divided the project in different thematic units: i) How to present to the plenary session a communication and a commercial project ii) How to build a social community out of it iii) How to work in team for a common goal and to share experiences and skills iiii) Exploring the possibilities of youtube channels and blog communication when they meet a community of workers During the first month the NE will get in touch with the HE. In this phase the NE will learn how to present a project to the plenary session, how to involve people into a social business shared project. In the second month the NE will learn how to build and maintain a community, the usage of social tools as working instruments and the techniques to grow up an international community of independent workers. The NE will produce some short viral videos in collaboration with the HE exploring the possibilities to sell local products using internet in a social way. In conclusion, the last month will be the one more related to communication skills, where Lorenza will learn from freiLand how to create value from the ‘artistic’ work done before. HostEnrepreneur: The main goal for freiLand is to provide Contacts and networks of collaborative working projects to Lorenza and to help her transferring the tools of the projects into a video documentation. With this support freiLand will strengthen the capabilities of Lorenza as young entrepreneur and reinforce her skills as producer of new media products. freiLand and Lorenza will share their Experience. After many interviews and meetings with local changemakers, I was able to find, define and fix new narrative elements that could be in line with this new forms of living and working. Then I gave birth to the “Do It Together – Sharing Economy for Change Makers and Social Innovators” youtube channel. It’s a webserie for sharing knowledge/skills (to everyone has access to the web) owned by independent workers that have a “collaborative and maker attitude” and that act and think that work it’s not about making profit but it’s about making a better world and have fun out of it. “Do it Together” videos are short videos who teaches something very specific and simple related to the everyday working life of many different changemakers. The videos are 2/3 minuts long. Videos that last the time of a break between one task and another of the everyday life, videos teaching something very specific and at the same time relaxing. While whatching those videos you can have the feeling of knowing somehow the person is in the video and, if you need his or her skills, you can easily contact him/her. The videos are always divided into 2 different parts: the first one is a VIDEO TUTORIAL, the second one is a kind of curriculum vitae about the PERSON who made the tutorial. Each video is focusend on one person. Both parts are intended to explain how those “new” independent workers live and act and which are the skills attached to them: where they work, how they work, what they think work is, what they think life is. 2. Have the objectives of your stay abroad as set out in the Erasmus for Young Entrepreneur Commitment been met? – promote the professional activities ruled by some changemakers working in the HE factory. – Help those change makers in finding new customers. – promote the youtube channel authors as experts in collaborative economy (tools, communication methods, network). 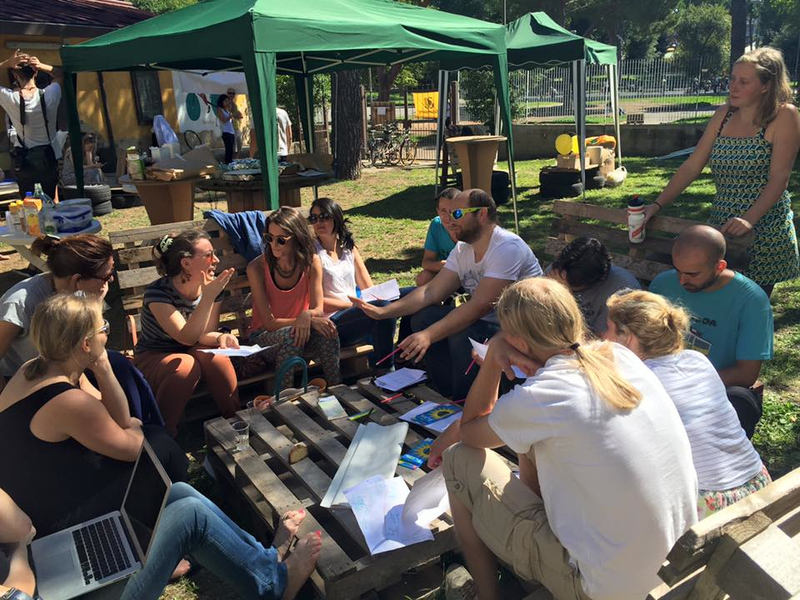 – set up new communication tools to foster collaborations among changemakers all around Europe. The objective to study and develop a new narrative for this new social class has been achieved. The objective to spread this webserie has not been achieved yet, but it was’nt possible to achieve it in just 4 monts, that’s why I will go further with this project and I will spend other 2 months to the HE in order to finish the project.